Management Development Programme on ‘Excellence in Stores Operations’(ESOps) on 22nd & 23rd February, 2017 at Jagan Institute of Management Studies,Sec-5, Rohini, Delhi. 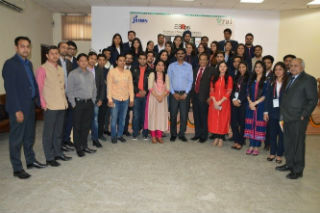 Excellence in Stores Operations (ESOps), a Management Development Programme (MDP), was organized by Jagan Institute Of Management Studies along with Retailer’s Association of India (RAI) on 22nd & 23rd February, 2017 at Jagan Institute of Management Studies (JIMS), Rohini Sector -5 campus. 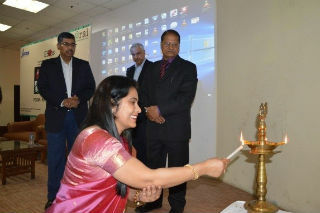 The event opened with Lighting of the lamp by Guest of Honor-Mr. Rahul Chadha-CEO & Whole time Director, RWL Health world Ltd, Dr. J. K. Goyal, Director, JIMS, Dr. Ritu Bajaj , Dean (Retail Management), JIMS, Prof. Ashok Bhagat, Dean (International Business), JIMS, Dr. Sumesh Raizada, Dean(PGDM), JIMS. 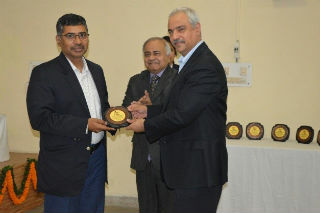 It was followed by the Inaugural speech of Dr. J. K. Goyal, Director, JIMS and the floral welcome to Guest of Honor. Dr. J K Goyal started his inaugural speech with his vision of higher education to all. He added that JIMS has completed 25 years in higher education and has made tremendous growth in the past. It has delivered quality of education and retail is specialized course preparing students for retail industry. 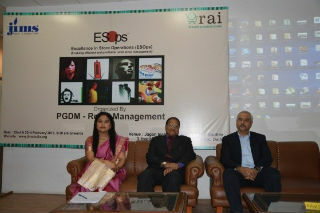 Dr. Ritu Bajaj delivered the welcome address to 70 participants from various retail houses. 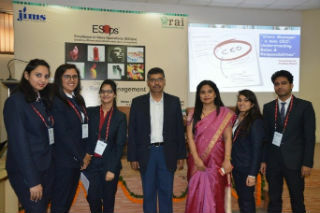 She emphasized on enriching Academic coorporate loop, where Esops is a platform for students to directly interact with retail professionals and learn from their exprience. Mr. Rahul Chaddha, CEO of Religare shared insightful information of his retail journey so far and he clearly stated retail is a sunrise industry. He emphasised on the set of skills every retailer must posses irrespective of their category. For success of a retail organization, a retailer first become a good employer then only he can focus on customers & driv a great retail store. Mr. Pradeep Katyal-Founder, Grheat Start Ventures who spoke on Store manager: A Mini CEO, He emphasized on how imperative vision-mission and values are for every organisation. He mentioned in & out of complete details of retail. Day 1 was concluded by Mr. Anurag Pandey-Operations Controller, NCR, Spencers Retail He gave in-depth information on managing the store profitability. The significance of retail resources to the income sensitivity of retailers, every point was touched upon. Second day session started by Mr. Jasdeep Kohli, General Manager-Marketing & Head-Instore Brand Communication, Lifestyle. He highlighted his thoughts on Catchment Analysis and Local Area marketing & laid emphasis on ATL & BTL activities. 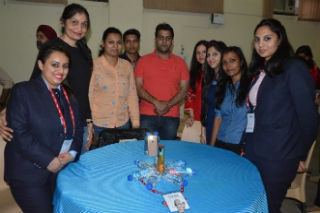 Second session was taken by Mr. Animesh Dixit who is the Head in Visual Merchandising and projects in Benetton India Pvt Ltd, he touched upon about the Instore Visual Merchandising. 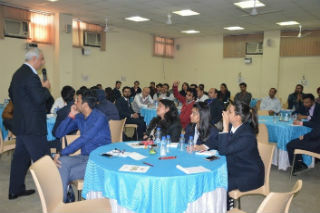 An activity on VM was conducted to engage the participants & two best displays were awarded too. The day 2 concluded with Mr. Dhamotharan R, Vice President business development at ITC Limited life style retailing business division, who took the session on understanding and Buying and Merchandising along with Inventory Management in the store. The Program was designed by Retailers Association of India (RAI) on Excellence in Store Operations, which focused on the means of achieving great retail performance by virtue of enhancing store productivity and store profitability. 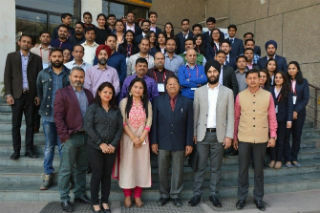 The Program was a learning platform for Retail Store Managers, Assistant Store Managers, Department Managers, Independent Retailers & Retail Managers who have a desire to imbibe and adopt proven best practices. The MDP received an overwhelming response with the participation from well known brands like Biba Apparels, Mahindra Retail, Aditya Birla, Benetton, Monte Carlo, Relaxo, Trent Limited(West Side), V-Mart, Wonderchef etc. The Vote of Thanks was delivered by Dr. Ritu Bajaj, Dean (Retail Management), JIMS who extended a warm gratitude to all the speakers and participants.